Chris Benchetler is always on the move. Whether skiing, surfing, climbing, painting or producing his own film projects, Benchetler is never without another great adventure on the horizon. Watch as he talks about growing up in Mammoth, the major influences in his career and where he’s headed next. This is “Meditative Movement with Chris Benchetler” a short film based on Benchetler’s feature profile in issue 11.4. Film supported by Atomic, Dakine, Smartwool and 10 Barrel Brewing. 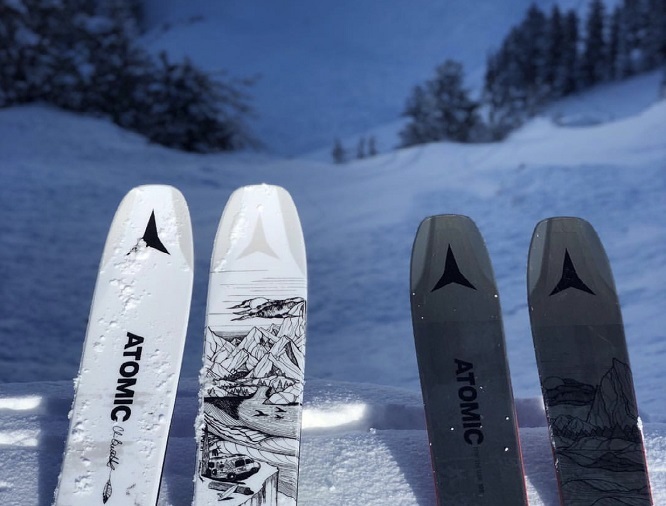 In celebration of Chris Benchetler’s feature profile and video, we have partnered with Atomic Skis to give away a pair of 2018/19 Bent Chetler 120 skis. The all new 10th anniversary Bent Chetler is now 20% lighter in 2019 than its previous models, and built with HRZN Tech in the tip and tail for effortless pow skiing on the deepest days. Sign up for our mailing list below for your chance to win! Presented by The Ski Journal, PO Box 2806, Bellingham, WA, 98226. Entering contestants sign up for the email newsletters of either The Ski Journal, The Flyfish Journal or The Snowboarder Journal. Prize includes a 2018/19 Bent Chetler 120 Skis Retail value up to $900. Entry limited to residents of the United States and Canada. Winner will be chosen April 2, 2018.